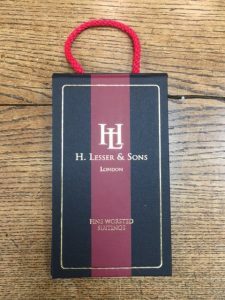 We are happy to announce that on the 28th, 29th and 30th of December we will have our Christmas offer. 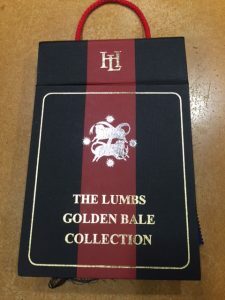 LUMBS GOLDEN BALE in 3 different weights 8oz, 11oz & 13oz. 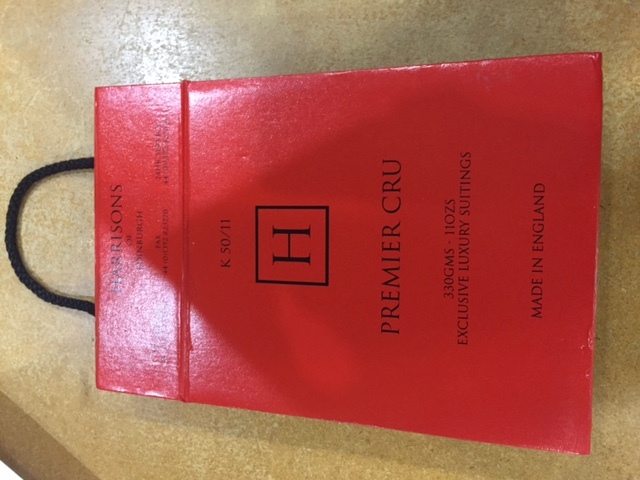 £1100.00 ( normally £1900.00 ). 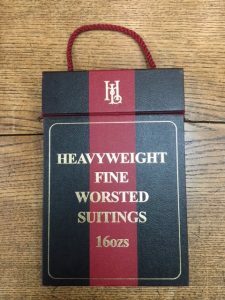 H LESSER 16oz. 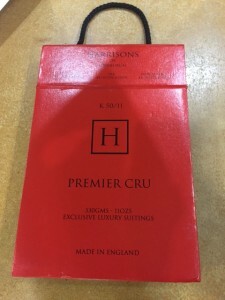 £900.00 ( normally £1800.00 ). 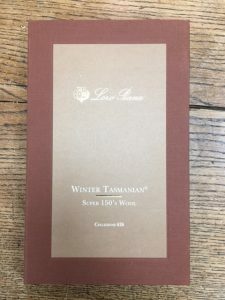 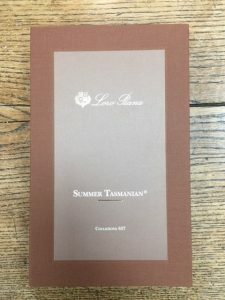 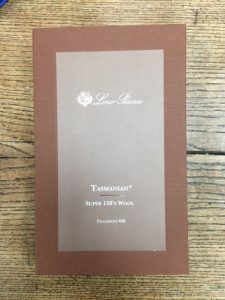 LORO PIANA full Tasmanian super 150’s range £1000.00 ( normally £1800.00 ). 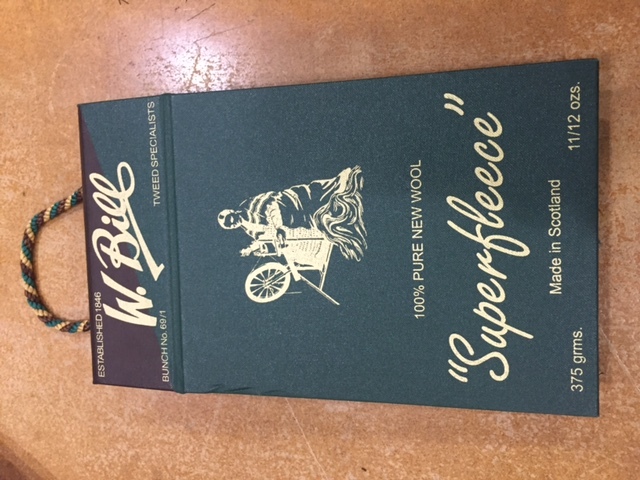 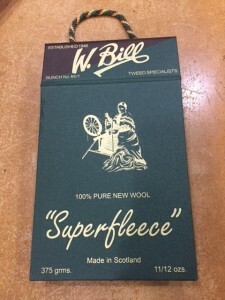 W.BILL sports jackets across 2 ranges, Phoenix and Superfleece. 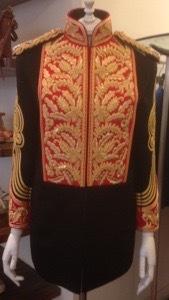 £650.00 ( normally £900.00 ). 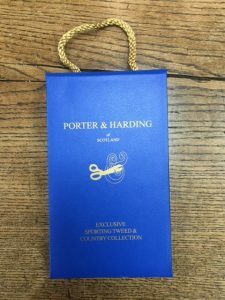 PORTER & HARDING 14oz tweed. 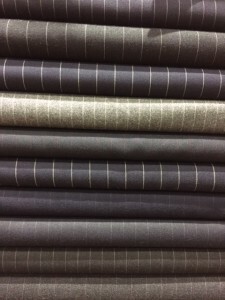 suits £825.00 ( normally £1100.00). 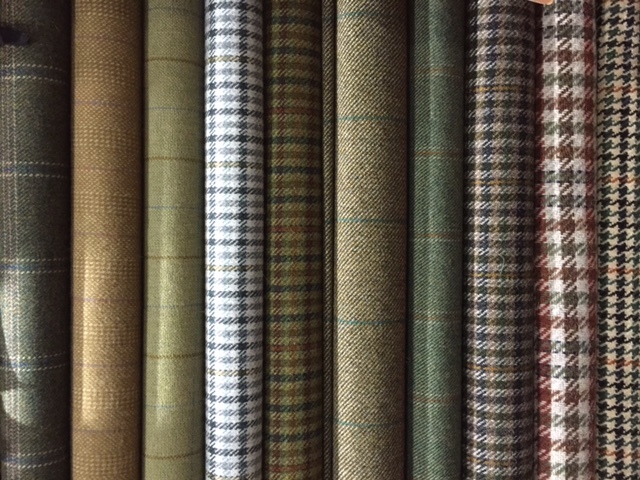 We also have a large selection of cloth in the shop from many different merchants all at £825.00. 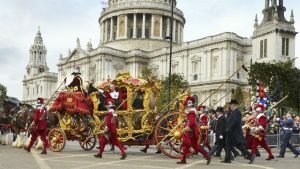 Although the weather wasn’t great, the Lord Mayor’s parade had a fantastic turn out. 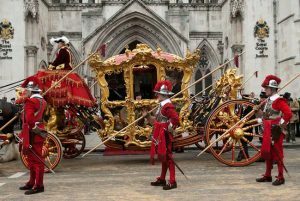 It is always nice to see the Pikeman and Musketeer uniforms we made being shown in all its glory with armour and pikes in hand. 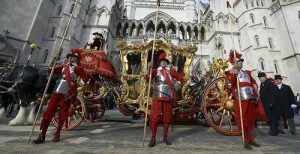 We would like to wish Dr. Parmley all the best for his year as Lord Mayor of London. 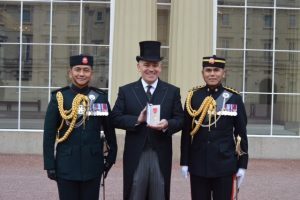 Congratulations to our good customer and friend David Hitchcock on receiving his OBE at Buckingham Palace yesterday. 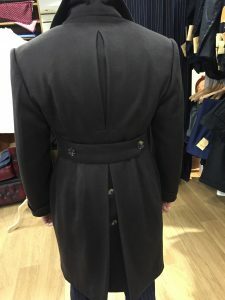 I think you would all agree what a fantastic picture this is of David wearing our tails from the 12oz Smith woollens material with silk edging along side 2 officers from the Gurkha regiment of which he served. 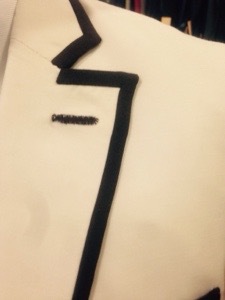 Our 3 piece tails start from £1600.00. 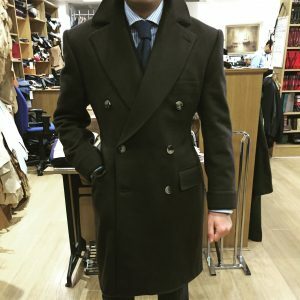 We say to get full value of an overcoat you need to be ordering by the end of October, beginning of November the latest just as the cold really sets in. 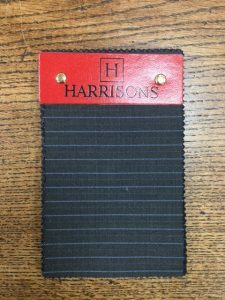 When it comes to coats there are so many options to choose from, We find some customers find it easier to work from a picture they have seen on the internet but will choose a fabric of their choice. 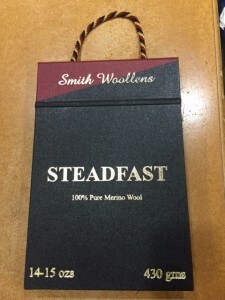 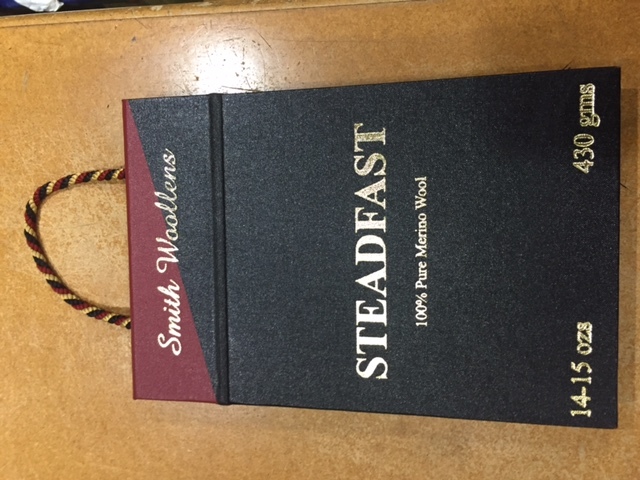 Cashmere has always been the most popular but camel hair, wool or even a heavy tweed are great options. 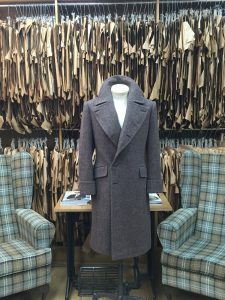 Our 100% wool overcoats start from £950.00. 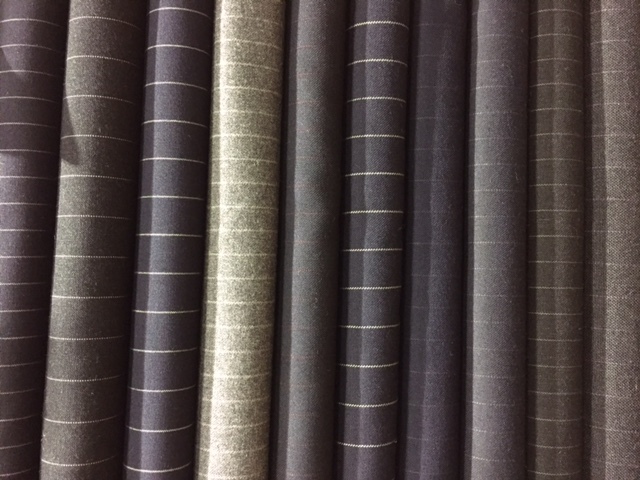 Our Cashmere overcoats start from £1800.00. 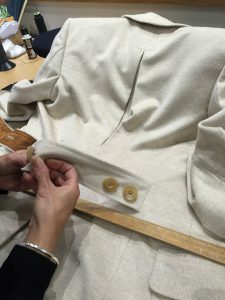 As some of you know, Russell lived the life of a tailor in the 1870s to 1900s with his family for three weeks for a documentary to be aired on BBC2. 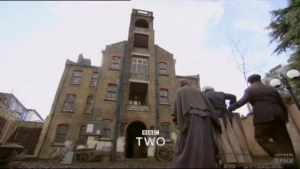 There will be five episodes from Monday 10th October – 7th November. 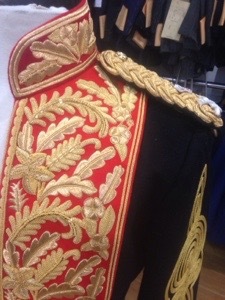 The garments Russell made whilst on the show will be displayed in our window over this time. 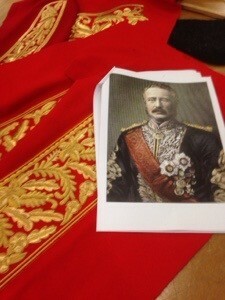 We hope you all enjoy the show. 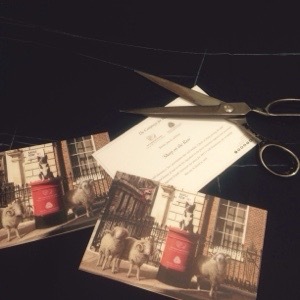 As mentioned in the pervious post, yesterday was the day Savile row was transformed in aid of Wool week. 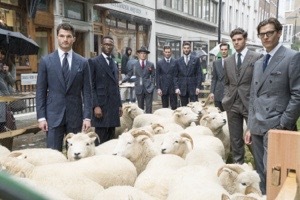 It was a great day ( apart from the weather ) and all the models looked great donning they’re outfits made from they’re selected tailors. 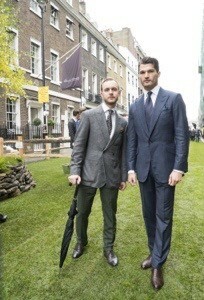 Here is a few pics of our model ( left ) wearing our suit we made from Zegna cloth. 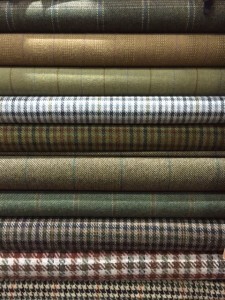 Big thanks to Guy Hills of Dashing Tweeds for braving the conditions to get us same great pics. 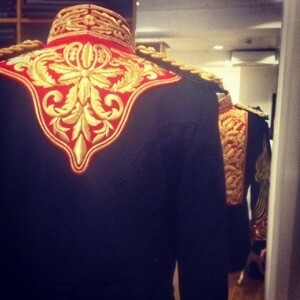 Also on the day was a photo shoot of all the apprentices in our trade. 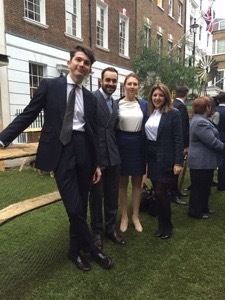 (Left to right) James, Altay, Roxy & Geri all of Graham Browne. 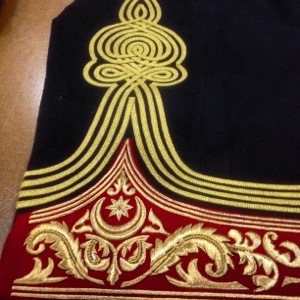 The full apprentice picture will be uploaded as soon as we receive it. 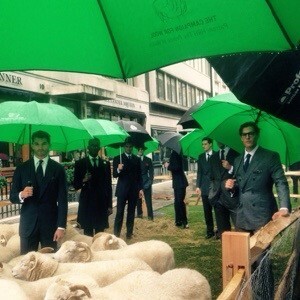 On Monday 5th October Savile Row will be transformed into a green pasture with merino sheep roaming the street for the beginning of wool week. 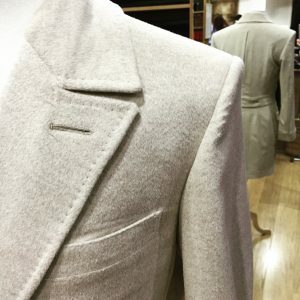 25 bespoke tailors have been chosen a paired with cloth mills and merchants to showcase what they do. 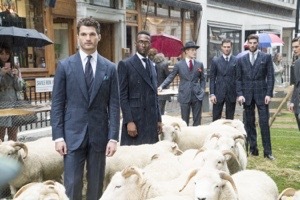 GQ magazine will be there on the hunt for London’s best dressed men. 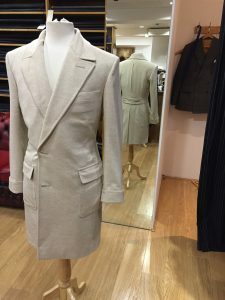 We at Graham Browne are happy to be included in the 25 tailors and for any customers interested in coming to this event it is opening to the public from 10am to 6 pm. 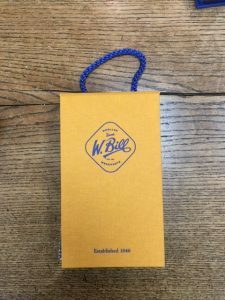 Look forward to seeing you there. It’s always nice to do something slightly different then our normal City suits. 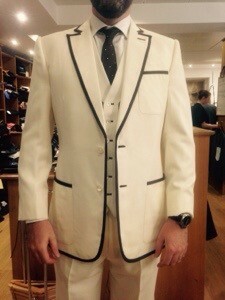 Here is a 3 piece suit made for one of our clients to be worn at the Goodwood revival weekend. 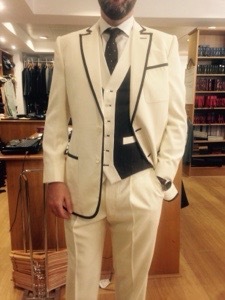 After winning the prize for best dressed in 2013 and coming close in 2014 we are hoping this could get the 2015 vote. 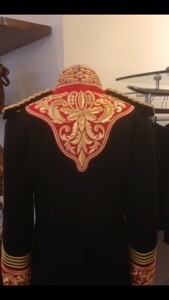 We was asked to replicate the tunic worn by Gordon of Sudan. 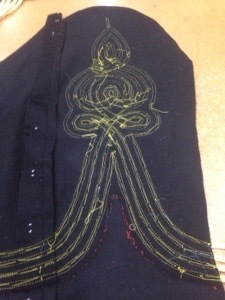 The gold is all hand embroidered and the lace on the sleeves all hand sewn. 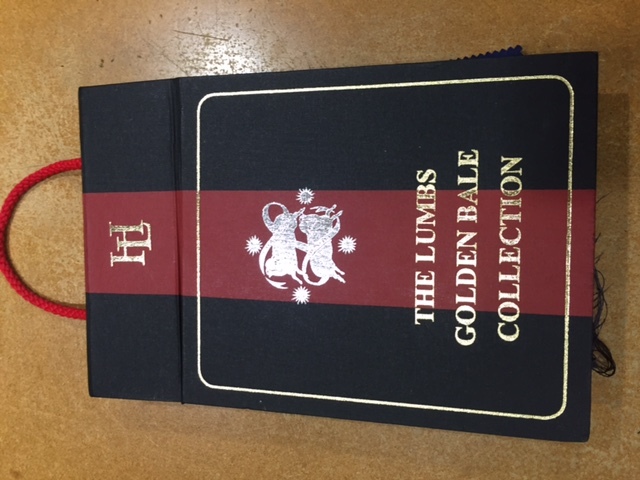 We are really happy with the finished article.